In an epic move, George Soros, the billionaire business magnate and investor, is now in the business of cryptocurrency investing. Soros was initially one of the prominent investors that were vehemently against Bitcoin (BTC) and crypto in general earlier this year. Adam Fisher, who oversees macro investing at New York-based Soros Fund Management, says he got internal approval for the move to trade in digital assets a few months ago. Mr. Fisher is yet to declare the depth of the investment by the fund. From the point of view of many Crypto traders and enthusiasts, his statement were viewed as ‘blasphemous’. But you can at least try to put yourself in Soros’ shoes when he made these statements. Blockchain and crytpocurrencies came into the global limelight in a manner similar to a Tsunami. And being a traditional investors of stocks, bonds and shares, digital assets would look like ponzi schemes to Mr. Soros. But for the generation that is under 35 who have grown up with the internet, video games and social media, cryptocurrencies seemed like any other good idea in their generation similar to the iPhone or Spotify. This is why we find teenagers being Bitcoin millionaires after buying the coin years ago using their $20 weekly allowances that they saved up under their pillows. 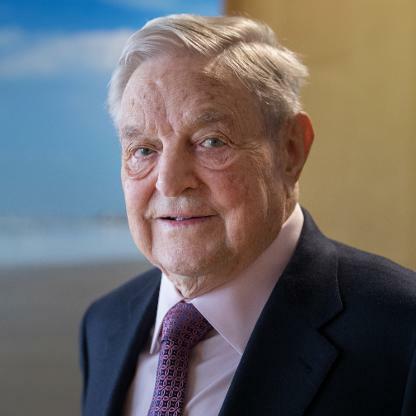 Soros joins a growing list of big investors who have seen the proverbial light of cryptocurrencies and their potential to change global economics. Another Bitcoin doubter turned believer, is the popular Shark Tank Investor and owner of the Dallas Mavericks, Mark Cuban. He too had declared Bitcoin as being a bubble only for him to recant his statements and further accept Bitcoin (BTC) as a form of payment for tickets to see the Dallas Mavericks play. We can now safely bet that J.P Morgan’s Chairman and CEO, Jamie Damon, will also see the light and potential of cryptocurrencies after also calling Bitcoin a fraud earlier this year.